Lay the asparagus spears in a large skillet and top with 1 inch of water. Lightly salt the water and bring to a simmer. 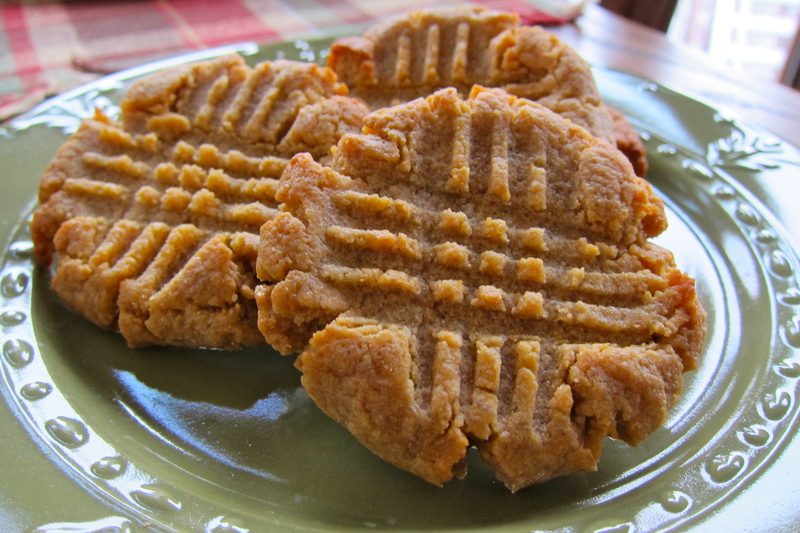 Cook, covered, for 3 to 5 minutes or until crisp-tender. Drain off the cooking water. In a small bowl, whisk together olive oil, lemon juice, salt, pepper and blue cheese until well combined but still chunky, set aside. 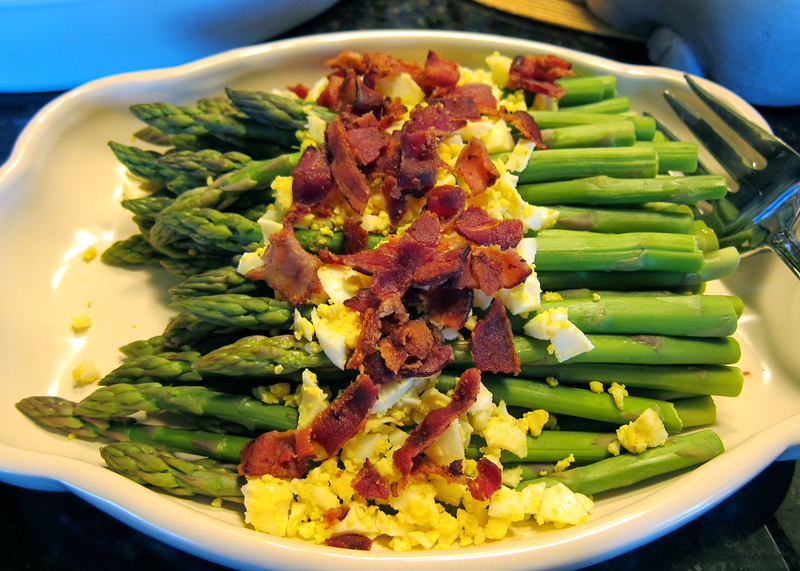 Place asparagus on a serving platter, top with chopped eggs and bacon. Drizzle the entire dish with the blue cheese dressing or serve on the side.